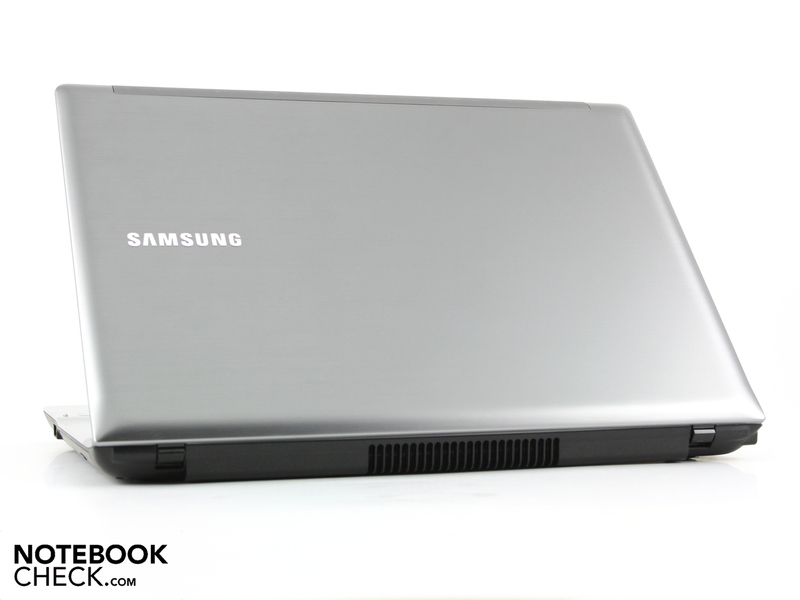 Compact but Packs a Wallop This Samsung 13" netbook fuses the power of a Core i5 460M with a 4.5 hour battery life and impressive efficiency. Even the DVD drive doesn't get left out on account of a modern cooling system. 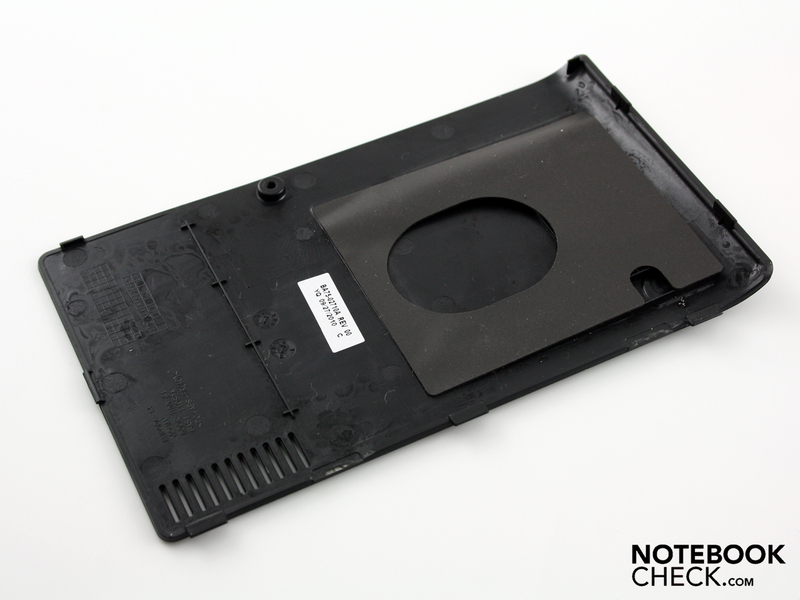 Although some have recently been manufacturing lightweight 13-inch notebooks with a long battery life and a low-voltage processor (e.g. Dell Vostro V130, MacBook Air 13) Samsung has gone the classic route in designing its QX 310 with a powerful performance in a compact case. Samsung knows that a Core i5 460M CPU is a good deal more appealing than a Core 2 Duo SL9400 or an i5 470UM (both low voltage). Looking at the compact case of the QX310-S02DE, you wouldn't guess that it's as powerful as it is: besides the Core i5 460M, a Nvidia GeForce 310M (512MB) graphics card and an optical disc drive are also housed within. Whether Samsung's time-tested Silent Mode interferes with the Core i5's performance, you'll find out in our comprehensive review below. 30For the show-off in each of us, we'll start off with the sleek case of the QX310. The matte and faintly shiny surfaces of the case fit in well in the workplace while coming off pretty classy. So, whether you're looking to make an impression on potential clients or show off to your friends, the QX310's got you covered. We can't really place this notebook in the featherweight class. Quite on the contrary, at 2,099 grams plus its 248 gram power supply, the QX310 is a whole 500 grams heavier than the Dell Vostro V130. Still, we don't see its heavy weight in too negative a light considering the powerful, built-in 5,500 mAh battery can't exactly weigh 150 grams (62 Wh). We're quite pleased with the sleek surfaces of the case as well as the cover. 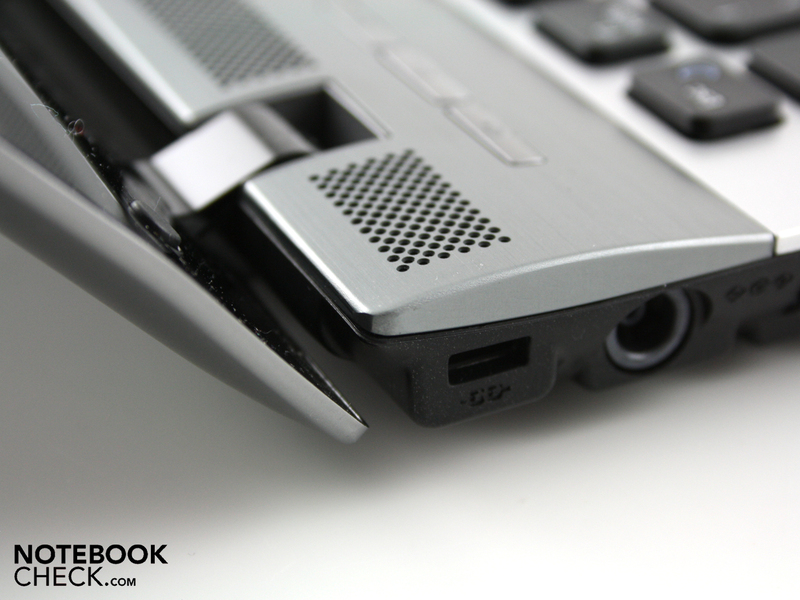 The screen hinges hold the cover securely in place, which in turn does not bob back and forth much after being adjusted. 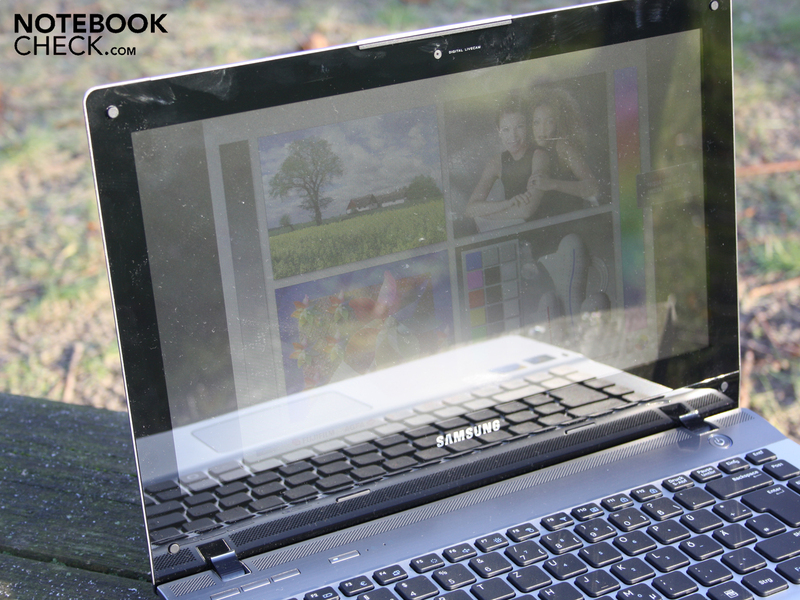 With the cover opening up to a maximum of 135º, you can comfortably hold the notebook open on your lap at the perfect viewing angle. One hand is enough to open the cover. The relatively heavy base unit stays in place and does not need to be held down. Grasping it at the sides with both hands, we were able to significantly twist the base unit. The plastic surface does not, however, begin to creak and crack during the twisting. Moreover, the bottom of the base unit is not as sturdy as it seems. Pressing down on the area around the optical disc drive and on the maintenance opening produces some noticeable denting. The maintenance opening gives access to the 2.5" hard drive and the DDR3 RAM chip (one slot, other 2G chip welded in). The palm rest and touchpad are sufficiently sturdy. Only applying a significant amount of pressure onto Core i5 sticker the area just right of it will result in the case caving in a bit. Most of the surfaces are easy to grip with no fingerprint marks left over whatsoever. Connecting with external devices is not the QX310's strong suit. The three USB 2.0 ports should suffice for hooking up an external hard drive, mouse and printer. There are however, no eSATA or ExpressCard34/54 ports. External monitors can be hooked up via the HDMI output (at the right under a small flap) or the analog VGA port. 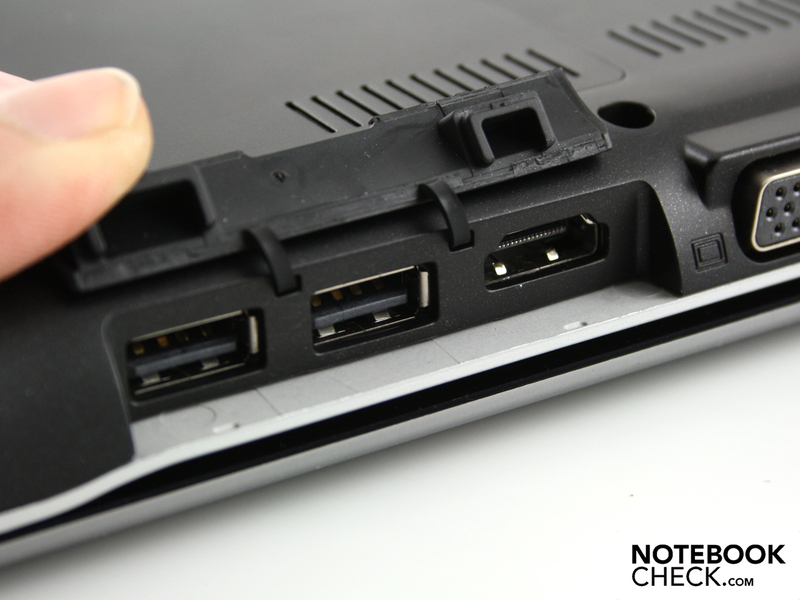 The well-positioned ports reduce the cable chaos at the sides of the laptop. The bulkier cables like the HDMI, VGA and Ethernet are located on the left side near the back, so that they won't even interfere with left-handed use of a mouse. The QX310 does not come with a docking station, but you can always fall back on a USB-replicator. The Fast Start technology supposedly reduces loading time for pulling the system out of stand-by mode to several seconds. It actually works impressively well, waking the system from sleep mode in the blink of an eye, bringing up the Windows desktop just as we left it (max. 2 seconds). This feature's not exactly new since your current status is saved in working memory with the Energy-Saver profile on in Windows 7. Samsung, nevertheless, manages to reduce wake-up time. Of course, the notebook must retain access to a power source in stand-by, which shouldn't be a problem considering you can't remove the battery. Aside from the WLAN Draft-N (Broadcom 802.11n) you can connect to your mobile device using Bluetooth 3.0+HDR. The Marvell Yukon 88E8050 gigabit Ethernet-Controller allows for the fastest possible transfer rates. A built-in HSPA module for mobile internet surfing would really have topped this configuration off nicely. 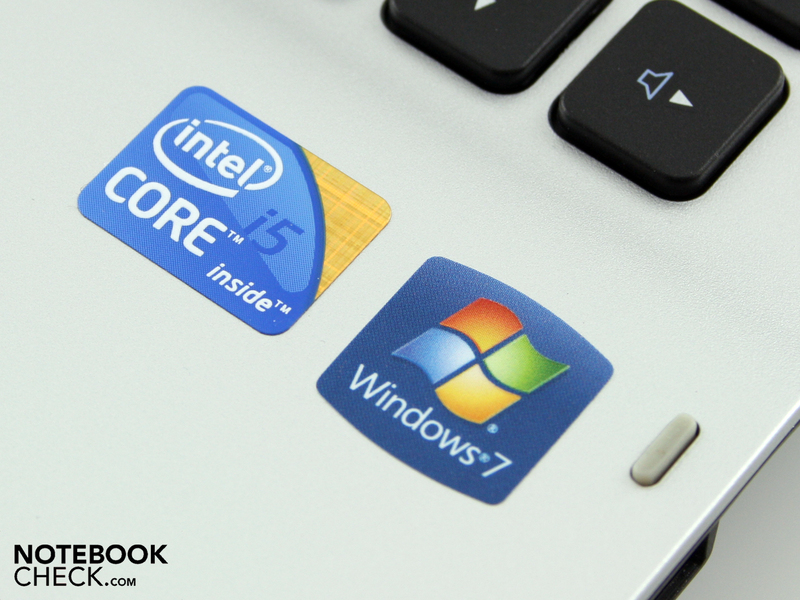 There's no recovery disc included for Windows 7 Home Premium (64Bit). 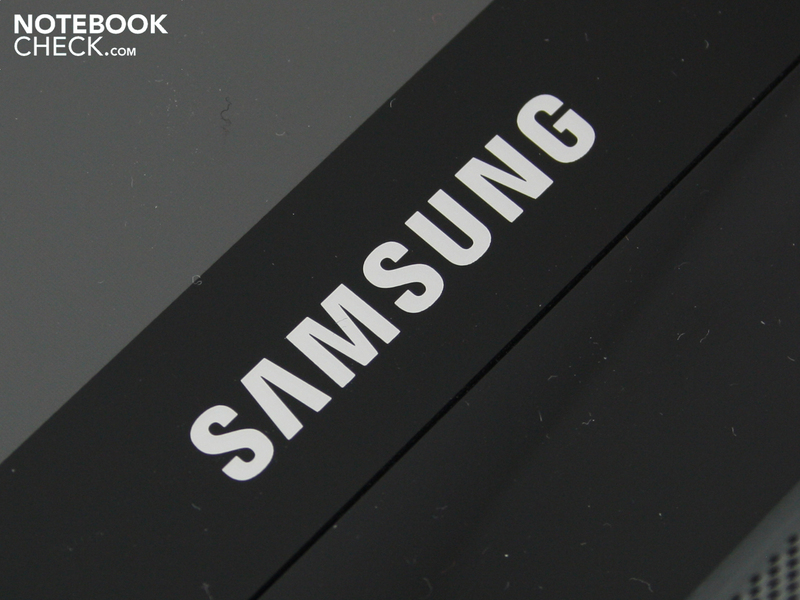 That means, users will have to create their own recovery disc using Samsung Recovery Solution 5. Samsung also includes a host of utilities in the standard package. 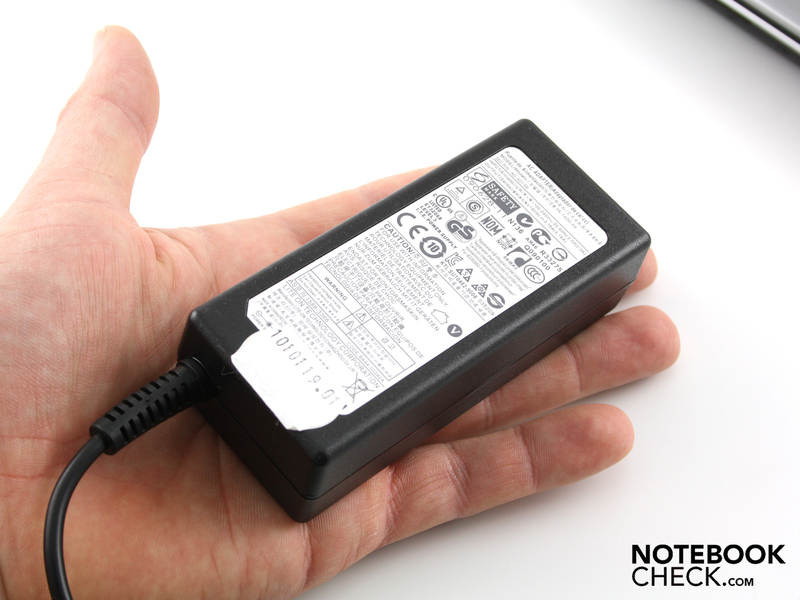 Among these is a chargeable USB (good for recharging your phone through the laptop via USB), Easy File Share (with other PCs), Easy Network Manager (manage WiFi connections) and the Samsung Update Plus (driver updates). On top of that, there's the Battery Life Extender, which limits battery charging to 80%. The Easy Speed-Up Manager sees to it that the Registry is automatically cleaned up from time to time and can be manually activated via Fn+F8—nothing special, but useful. The standard warranty includes 24-month send-in and repair service. With the premium warranty, Samsung offers an extension of the basic warranty for an additional price. For about 50 Euro, you can extend your warranty to 3 years (from date of purchase). 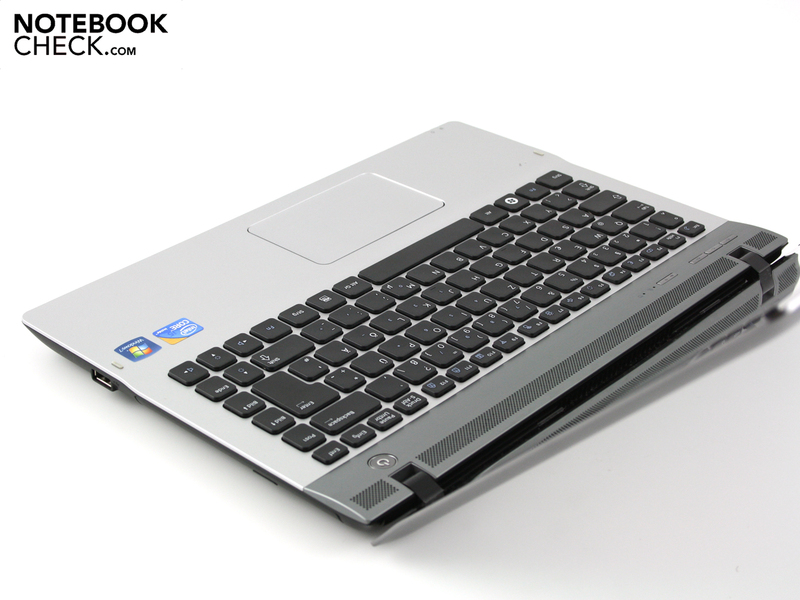 The chiclet keys rest on top of a silver aluminium surface, which flows over into the touchpad at a slight angle. When keys are pressed, they are completely even with the surrounding surface, making cleaning the keyboard no strenuous task. There isn't as much room between keys as on a desktop keyboard, but the layout is quite generous due to the lack of a number pad. Quick, precise typing is possible right away without having to get used to the spacing. The keys don't press in too deep and keystrokes are firm (but not hard). The right side of the keyboard, however, gives a bit to pressure, making the keys unresponsive at times. 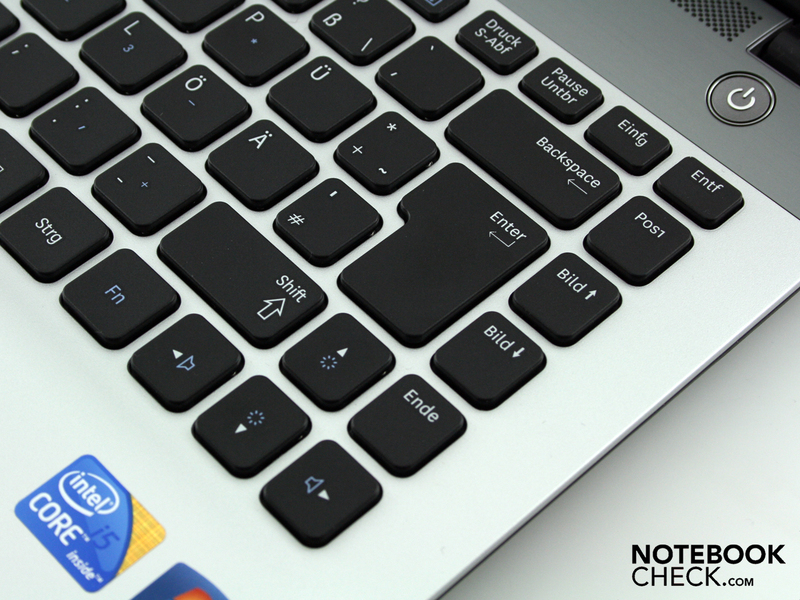 From the feel of the keystroke, it's uncertain whether you've hit the key sensor or not, making you have to go back and retype what you were putting in. 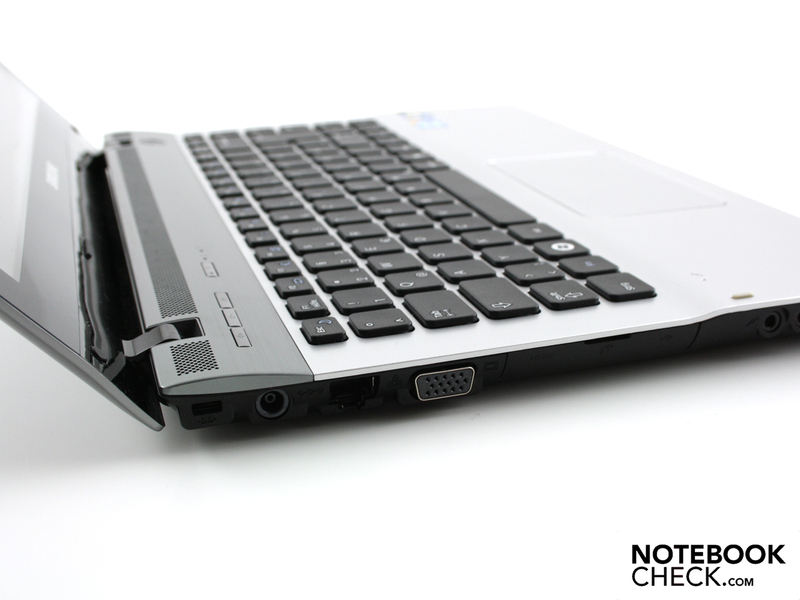 The part of the touchpad closer to the user can be pressed into the case, upon which you'll hear and feel a crisp click. This broad area acts as the touchpad buttons and makes navigating web pages faster, not to mention more fun (at least for a while). There are no separate touchpad buttons. 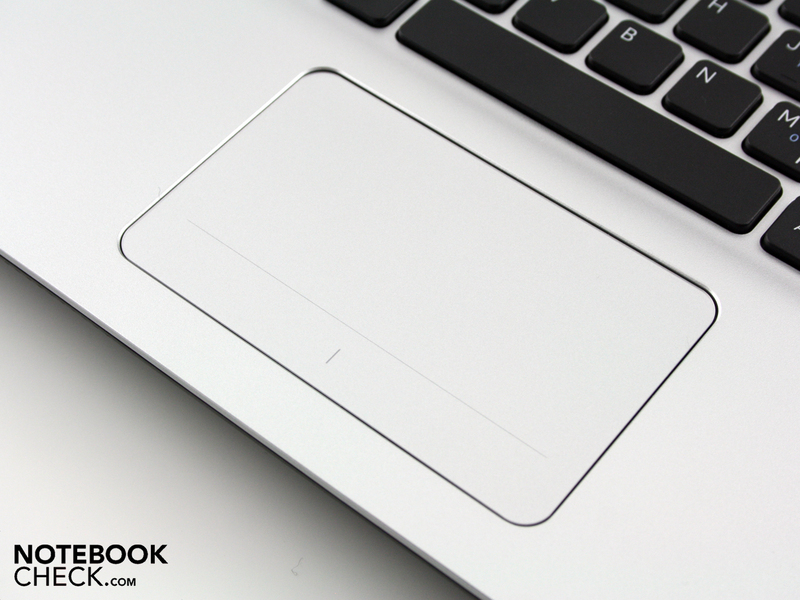 The dimensions of the touchpad are very generous and sensitive all the way to its corners. The areas activating the left and right click are separated by a faint vertical line. The plastic surface is not glossy and has a comfortably rough texture. 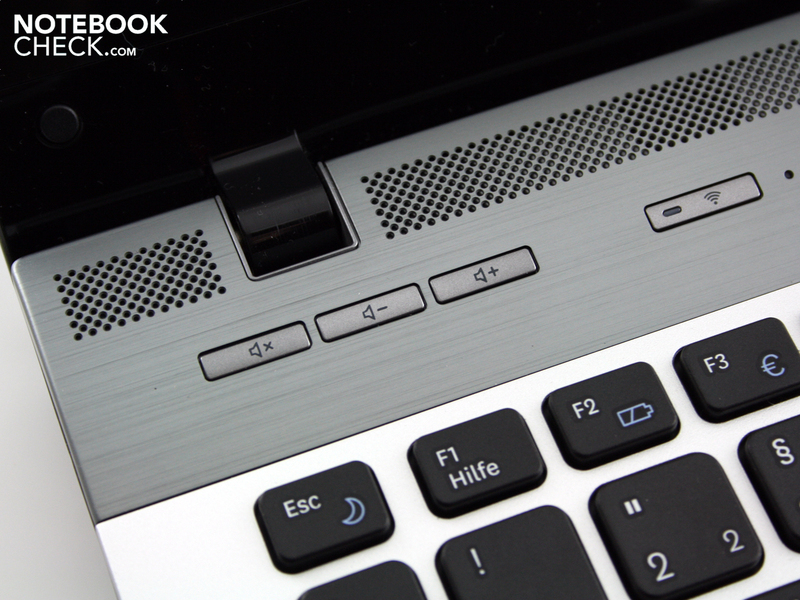 The horizontal scroll bar lies directly on top of the "buttons", making it easier to feel out the bottom of the touchpad. There's also a vertical scroll bar. The Elan Smart-Pad allows for all sorts of Multitouch gestures. 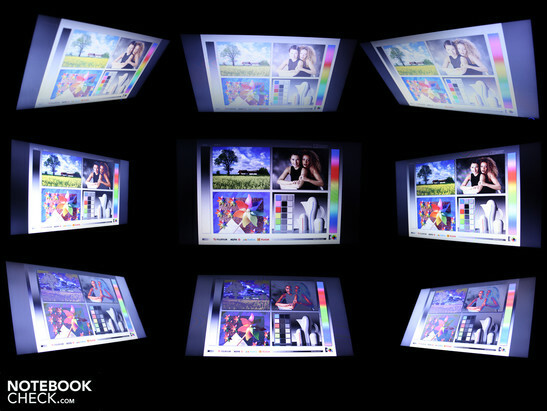 The glossy LED panel ( Type LTN133AT21001) has a resolution of 1,366 x 768 with an aspect ratio of 16:9. The WXGA resolution is typical for 13.3" notebooks. The decent black level of 1.47 cd/m² unfortunately brings with it an awful contrast ratio of 124:1. Black therefore does not appear very saturated and have a distict grayish overtone. Samsung does not praise the display very wholeheartedly, which is a bad enough sign in itself. The reflective screen is produced via an Edge-to-Edge Display Design, which means the screen is covered by a pane of plastic. Between the screen and that plastic pane there are about 2 mm of air. For professionals, the resolution alone is enough to close the book on this notebook. The color space does not help in this respect, which is not nearly within reaching distance of the commonly used Adobe RGB 1998 (t) or the sRGB (t) standards. In the diagram below, we compare the QX310 to a decent—but not excellent—consumer display from the Vaio EB3Z1E (t). 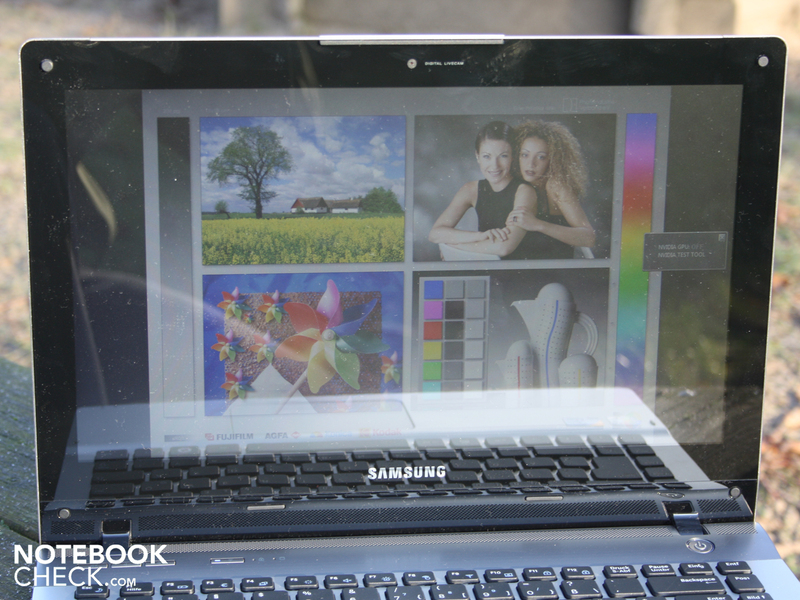 The screen brightness doesn't make things any better, which remains a good deal under the 200 cd/m² mark. The average brightness comes out to 178 cd/m². This suffices for use indoors. But very bright surroundings, like those in direct sunlight, will be reflected when screen contents are dark. Those taking the Qx310 outside with them next Summer won't have much fun. Reflections are only stronger due to the plastic screen cover and the low brightness of 178 cd/m² only adds to the effect. The range of viewing angles for the QX310 is not broad by any means. Tilting the screen up or down results in a blurry ghost image at only 20º away from the ideal angle. Moving from left to right or vice versa away from the perfect position will result distortion of colors at about 45º. 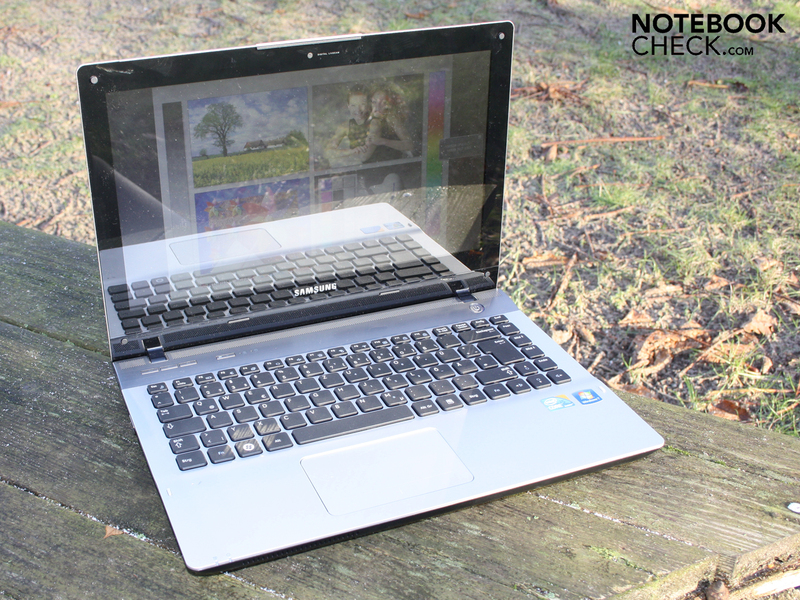 Laptops with a good range of viewing angles are a rarity and the QX310 is no diamond in the rough. 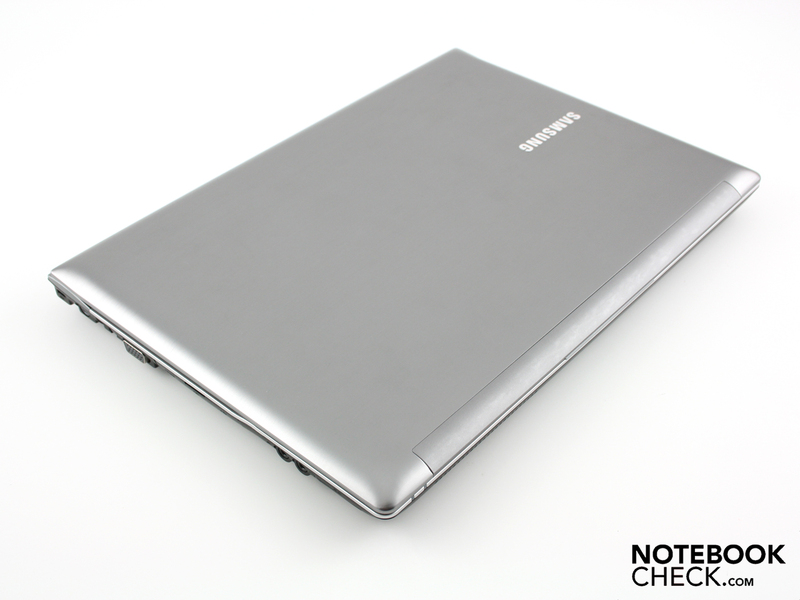 The Samsung QX310 is fitted with the dual-core Intel Core i5 460M CPU (2 x 2.53 GHz). The Core i5 processor has a function called Turbo Boost, allowing it to overclock each of its two cores to a maximum of 2.80 GHz. Another function, Hyperthreading, allows for each of its cores to process two threads simultaneously. These two functions work together to improve CPU performance, during which the processor can manage up to 4 threads at a clock rate of 2.80 GHz, making the system perform faster. The CPU power consumption, that is, its TDP is 35 watts. 25 watts of this are used by both cores of the processor and the remaining 10 watts by the on-board Intel HD graphics card and the memory controller. Compared to the more expensive Core i5 models like the 520M, the 460M does not support AES New Instructions, which helps speed up encryption and decoding of data. 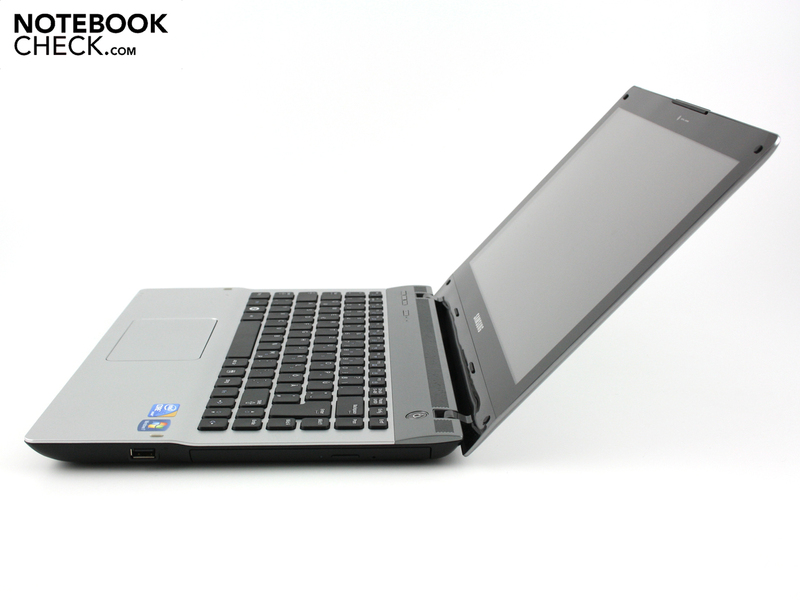 Typical for a notebook of this price range, 4 GB DDR3 RAM are housed within the case. There's only one slot available for a 2 GB RAM chip, the other 2 GB are soldered to the mainboard. The on-board graphics card (Intel HD) is connected to the dedicated Nvidia 310M (512MB) graphics card via Nvidia Optimus. Using this technology, the system can switch between the on-board and dedicated graphic cards automatically. As opposed to hybrid GPU switches, the on-board Intel HD always remains on since its Frame Buffer is used by the dedicated GeForce 310M to produce an image on the screen. Because of this feature, you no longer have to wait for the other GPU to kick in while staring at a black screen. 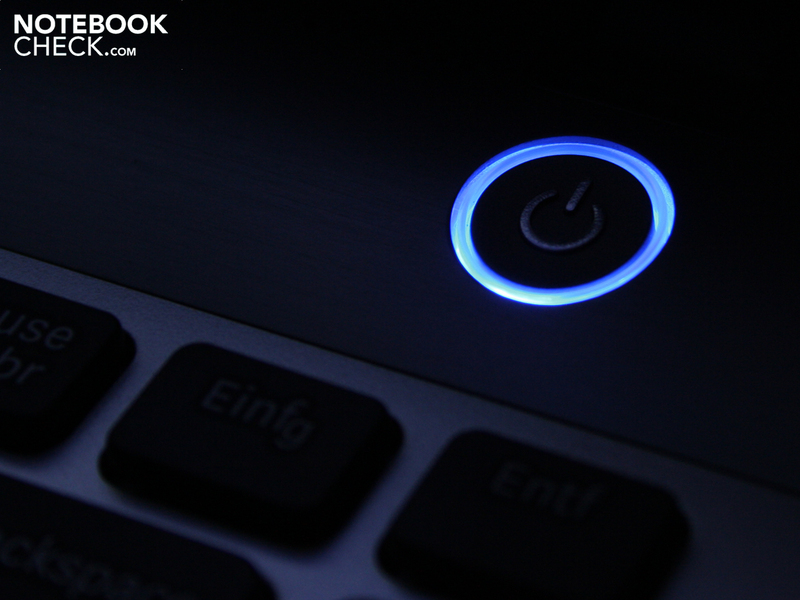 Optimus can save energy and extend the notebook's battery life by shutting off the more powerful dedicated GPU when it isn't needed. The weak gaming performance of the GeForce 310M in combination with Core i5 processors has been discussed in earlier reviews. You can find an overview of its gaming performance on the GeForce 310M fact sheet. The dedicated GPU is meant more for aiding the processor in decoding HD (H.264, MPEG 2, MPEG 4, etc.) via PureVideo HD as well as video encryption (CUDA, DirectX Compute and OpenCL). The QX310 works quite well with its i5 460M CPU. 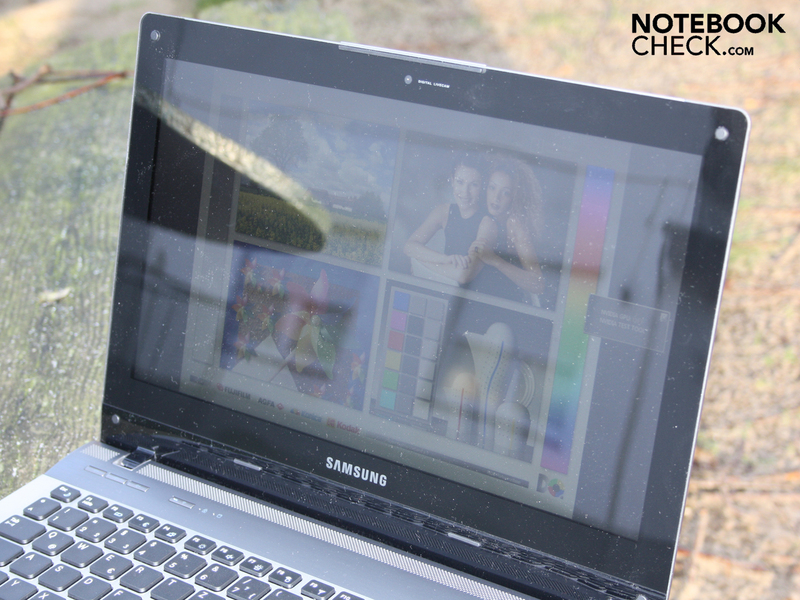 In the Cinebench R11.5 Multicore (64bit) test, our notebook earned 2,190 points. 520M CPUs are just about even at 2,200 points (same standard clock rate). The 430M CPU gets 2,000 points and the i3 330M only manages 1,750 points. Looking at these results from lowest to highest performance, we get the following trend: 330M, 370M, 430M, 460M/520M, 540M. At 3,830 points in the single-core test (Cinebench R10 Single 64 bit) the 460M tops the lower clock-rated 430M (standard 2.26 GHz, Turbo 2.53 GHz,) which earned 3,362 points within the Sony Vaio VPC-EB1S1E/BJ notebook. The 460M is just about evenly matched with the 520M, variably earning between 3,624 and 3,815 points (Lenovo Thinkpad T410s/Asus G73JH). With its comparably formidable power, the QX310 leaves any low-voltage processor out in the cold. A Core i5 520UM (Asus PL30JT, Lenovo IdeaPad U160, Packard Bell EasyNote Butterfly S, Alienware M11x R2) manages between 3,946 and 6,419 points (sometimes overclocked) in the Cinebench R10 Multicore (64 Bit) test, while our i5 460M outshines it with 8,227 points. Considering the Cinebench scores, the QX310's high PCMark Vantage benchmark score is no surprise: its 5,660 points attest to its powerful performance. This 13" powerhouse even comes very close to the 16" Sony Vaio VPC-F11Z1/E (i7-720QM, GT 330M, 5,844 points) and the HP EliteBook 8440p-WJ681AW (i5-520M, Intel HD, 5,770 points). The 320 GB Hitachi hard drive (HTS543232A7A38) is partly responsible for this high score. 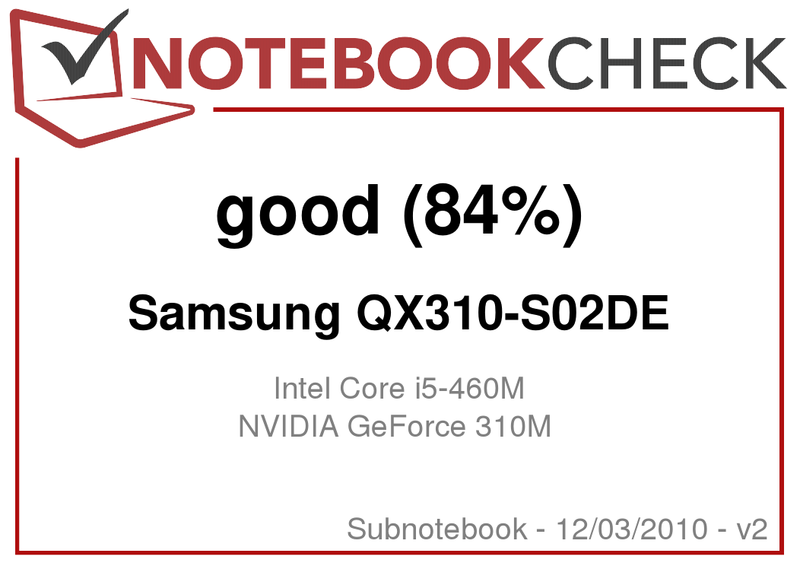 The HDD score comes to 3,359 points (above average for 5,400 RPM HDDs). The read rate, measured with HD Tune, comes out to a low 59.9 MB/s, however. On the other hand, the Burst Rate of 92.9 MB/s is above average. The Burst Rate indicates the speed at which data stored in the HDD cache is read. 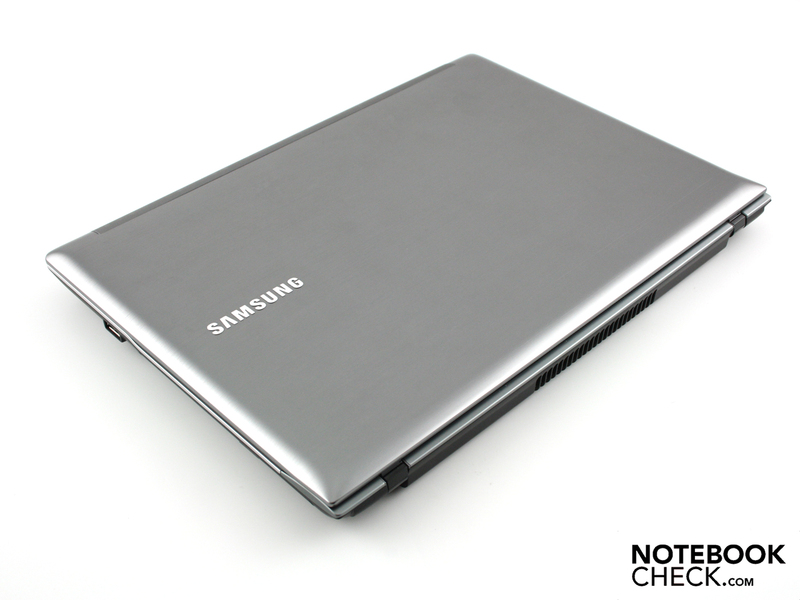 In terms of noise production, Samsung notebooks have always been role models. This notebook is no exception. The temperatures stay substantially low despite the powerful 35W CPU needing to be cooled. 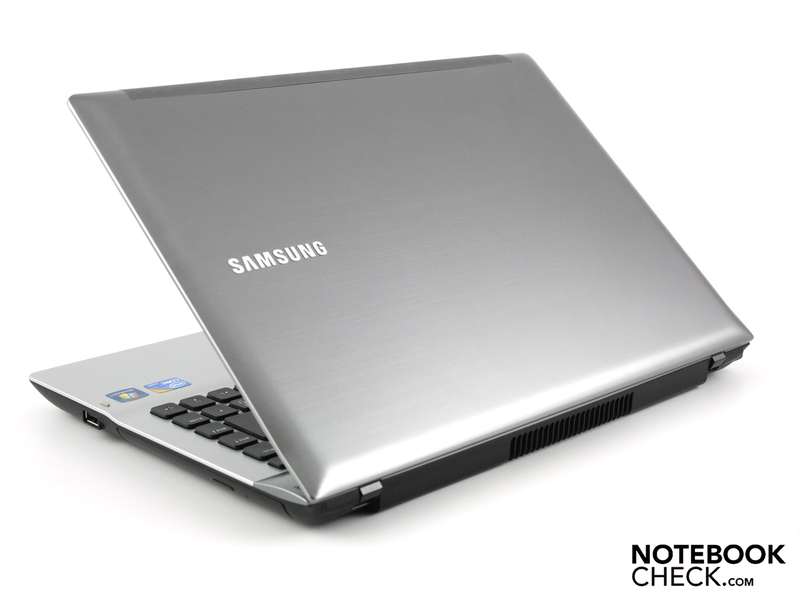 On top of that, Samsung did not shy away from furnishing the notebook with an optical disc drive, which requires additional cooling. Under light use, (that is, listening to music, surfing the internet, using Word, etc.) the fan is barely audible at 30 to 31.5 dB(A). In Silent Mode, the fan shuts off completely, so that you only hear the gentle hum of the HDD: 29.9 dB(A). The most important characteristic of Silent Mode is that the fan either spins much slower (under heavy use) or shuts off entirely (light use, idle). 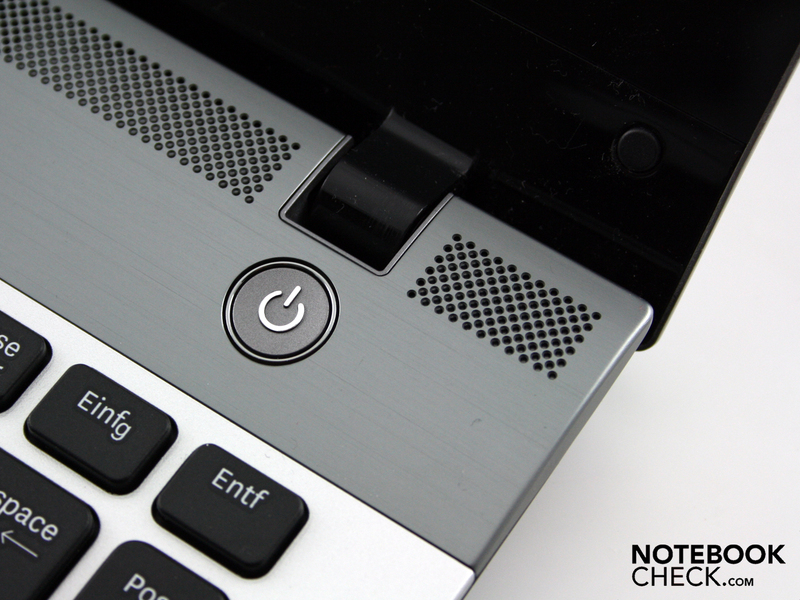 The Silent Mode limits the CPU clock rate to 1.2 GHz and turns Turbo Boost off. Performance is then naturally lower, but should easily be enough for office work. During the 3DMark06 benchmark, the cooling system reached a level of up to 36.5 dB(A) (Normal Mode). The loudest the system got was 42.7 dB(A) during the Torture Test from Futuremark and Prime 95. This stress test, however, presents an unrealistic scenario that very rarely comes up during actual use. Luckily, the noise level went back down to around 33 dB(A) right after the stress test. We observed the effect of silent mode at 100% CPU load (Prime95). There was no difference between normal and turbo mode. The measured temperatures match the noise levels in that they're both not noticeable. 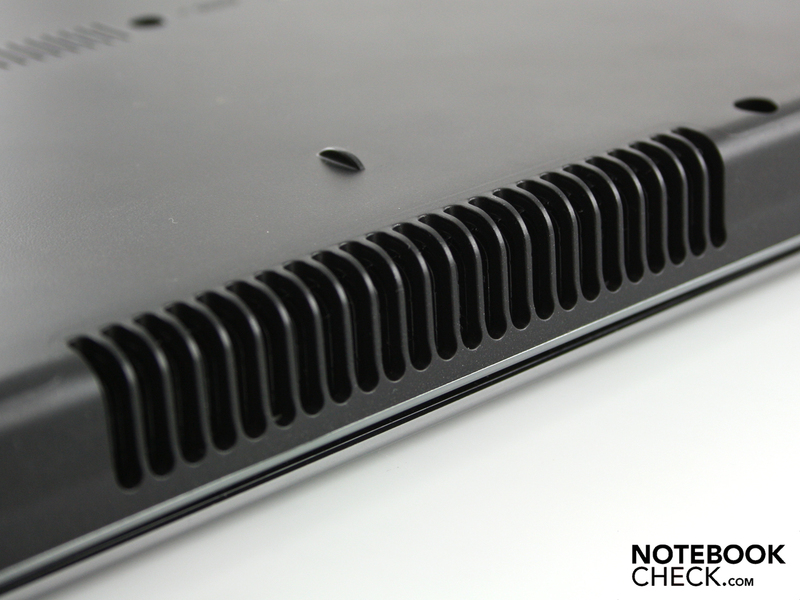 Under normal use—during which the laptop regularly went in and out of idle mode—the top and bottom of the base unit do not warm up to more than 30ºC. For testing the temperature during idle, Silent Mode was turned on (fan off). This caused some heat build-up inside the case. During the stress test—pushing the CPU and GPU to the max!—we measured a maximum temperature of 45.6ºC on the bottom of the case. Considering that this is the temperature only in one spot on the case and that the average is a much lower 30ºC, the case stays remarkably cool during the stress test. The palm rest measures a very cool 22ºC during this test, underneath which the battery and the hard drive are located on either side. The CPU temperature during the stress test reached a high of 89ºC. Since Prime95 makes the processor use all four threads, the clock rate came to 4 x 2.527 GHz. (+) The average temperature for the upper side under maximal load is 29.9 °C / 86 F, compared to the average of 30.7 °C / 87 F for the devices in the class Subnotebook. (+) In idle usage, the average temperature for the upper side is 25.8 °C / 78 F, compared to the device average of 30.7 °C / 87 F.
(±) The average temperature of the palmrest area of similar devices was 28.6 °C / 83.5 F (+1.3 °C / 2.4 F). The stereo speakers are located along the silver lining just above the keyboard but don't even come close to living up to what their location might suggest. The sound emphasizes the mid notes while it completely abandons the high and bass notes. Still, setting the speakers to top volume does not result in distorting the sound they produce. The SRS sound enhancement option in the speaker settings should remain on at all times, lest the sound quality be even worse. The volume buttons at the left above the keyboard are very convenient. Hooking up our two external Yamaha speakers (YST-M20SDP) via the headphone jack, we get a static-free, fairly high volume (Audio Test, No Measurements). The question of the QX310's battery life in light of the voracious 35W CPU is an exciting one. The QX310 does prove itself to last a decent length of time away from the power outlet. The combination of the powerful 5,500 mAh (61Wh, 6-cell) lithium-polymer battery and Nvidia Optimus with the power to completely turn off the dedicated GPU contributes to the relatively long battery life of the QX310. 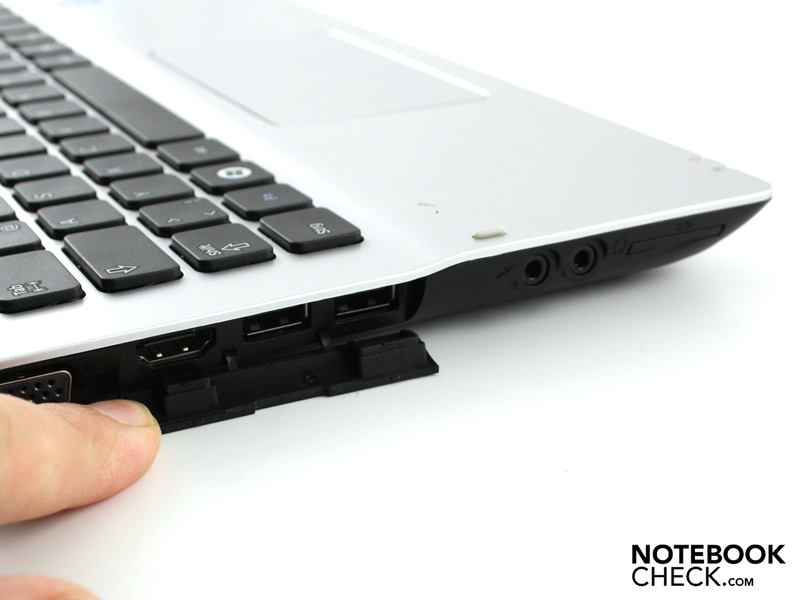 The notebook lasts 4.5 hours under normal internet use via WiFi. Charging the battery after this requires 2 hours 49 minutes with the 60W power supply. Watching a DVD on the go, the notebook will shut down after a long 4 hours 11 minutes. Just letting the computer sit around in idle mode will yield an impressive 9 hours 5 minutes. This is however a theoretical value measured by the Reader Test from Battery Eater. In the idle run-through, there was no GPU/CPU stress, the brightness reduced to min. and WiFi off. The low power consumption value in idle mode may explain this extremely long battery life: the QX310 uses only 9.4W in idle mode. To shed light on what this means, the screen alone uses 14.8W under heavy use (CPU not downsampled, WiFi on, screen brightness max.). When the Nvidia 310M is on during the 3DMark2006 benchmark, the power consumption rises accordingly to 51W. The maximum power consumption level is reached during the stress test, (Prime95 and Futuremark) coming to 65.2W. When only the CPU is at full load, the Multimeter shows the power consumption to be 50W. 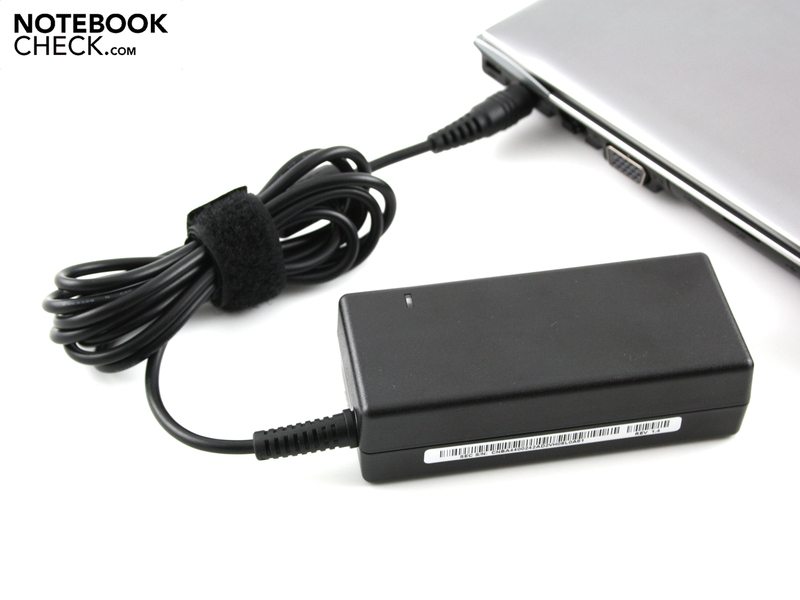 The 60W power supply is a bit overwhelmed with the maximum use but reaches a temperature of "only" 48ºC. 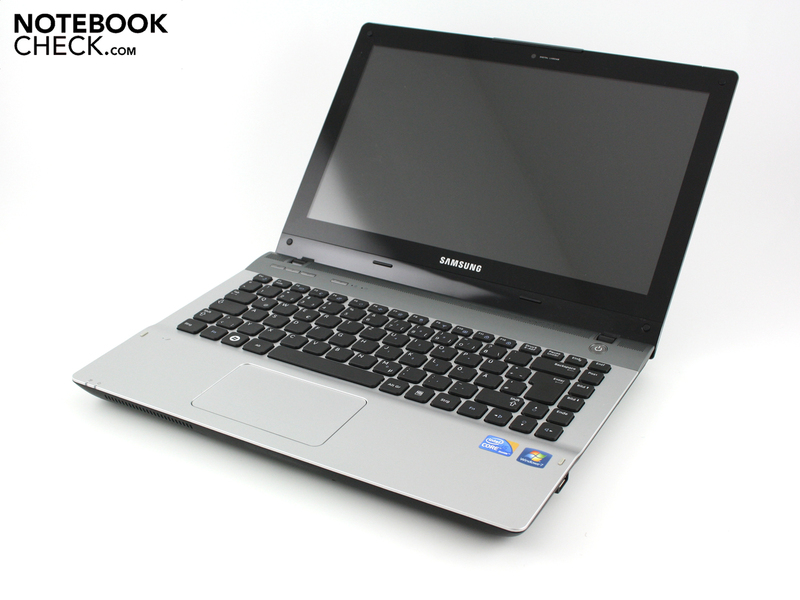 The Samsung QX310 is a well-rounded 13.3" subnotebook with a powerful Intel Core i5 460M dual-core CPU. The entry-level Nvidia GeForce 310M (512MB) does not bring much to the table in terms of gaming on the go. Despite the impressive CPU performance, the case always remains cool and the fan spins quietly or shuts off entirely. The Samsung Silent Mode once again proves itself to be a success. The battery life is impressive considering the powerful Core i5 performance. 4.5 hours for using the internet via WiFi, 4 hours 11 minutes watching DVDs. Turning off the dedicated Nvidia 310 GPU via Nvidia Optimus contributes a good deal to the especially long battery life in idle mode. On top of that, the soldered-in lithium-polymer battery has capacity of 61 watt-hours. Among other advantages, the WX310 has its sleek aluminum case and compact design. 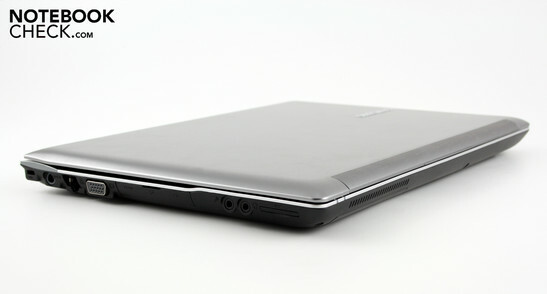 And the built-in optical disc drive in a 13" notebook of this performance class is hardly to be expected. The case cover is incredibly sturdy, although the same can't be said for the warp-prone base unit. Multimedia users will be disappointed by the meager selection of ports (no USB 3.0, no eSATA, no ExpressCard) as well as the low-contrast display with a poor range of viewing angles. Performance-oriented users will like the Samsung QX310 (NP-QX310-S02DE) for its impressive power in a compact form. 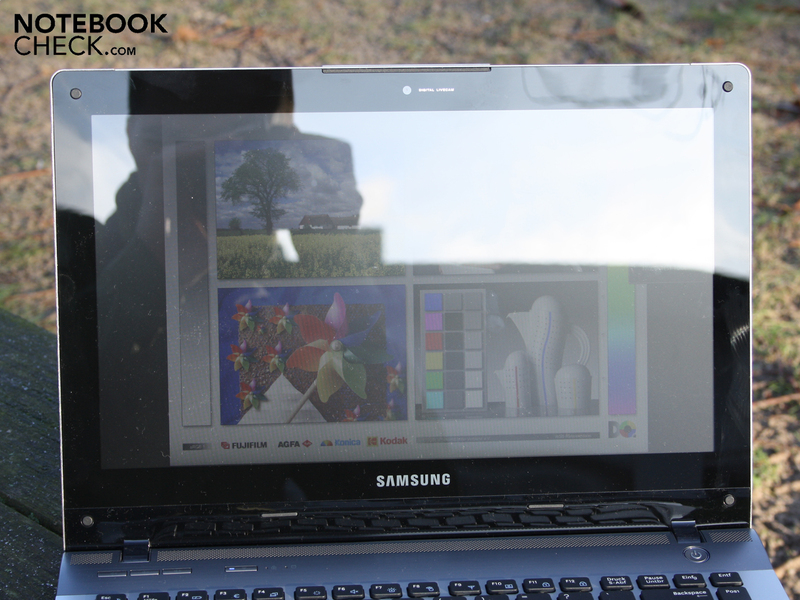 The notebook is quite comfortable to use but lacks in connectivity and potential for outdoor use. Samsung QX310-S02DE: With powerful i5 460M Processor and Aluminium Case. 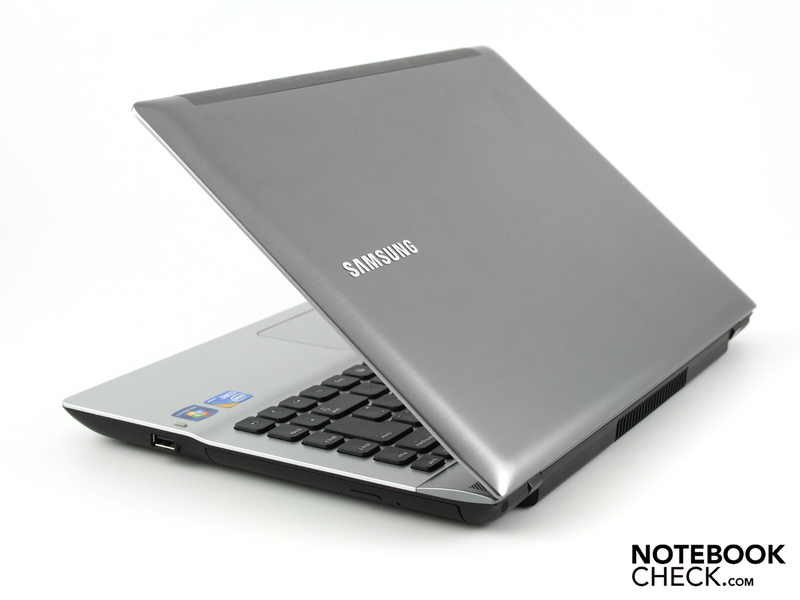 The QX310 is one of Samsung's high-end laptops. ...only adds to bright reflections even on a somewhat cloudy day. At the bottom of the case is a maintenance opening for replacing the RAM chips and hard drive. The sturdy opening cover is padded for shock absorption. A rarity: 2 GB of the 4 GB of DDR3 Ram are soldered to the mainboard. The 250 gram power supply doesn't quite fit in with the QX310's design. The 60-watt standard seems a bit overwhelmed by the 65.2-watt maximum energy consumption. Samsung QX310-S02DE: Well-Labeled, Large but somewhat Flimsy Keys. The power button glows when on. Samsung took a pass on additional effects. The look and feel of the case is simply stylish. 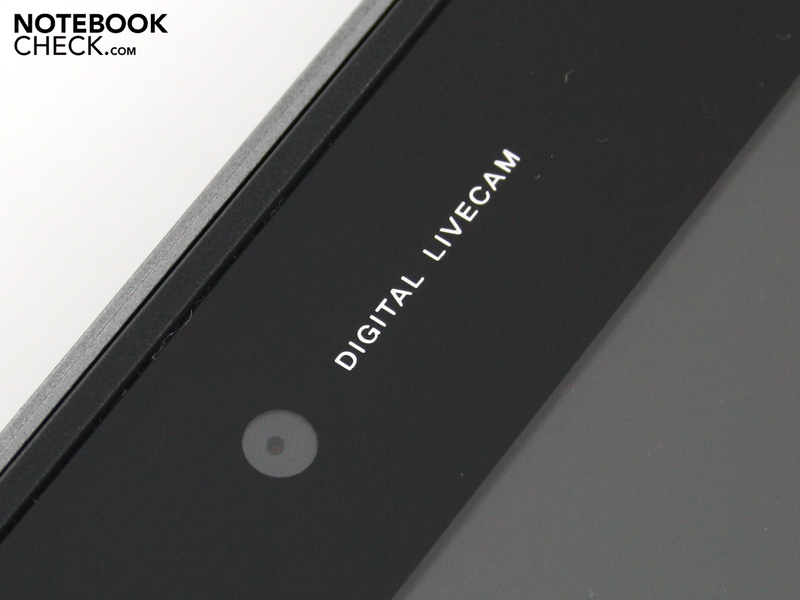 ... excessive details on the display frame (Webcam 0.3MP). 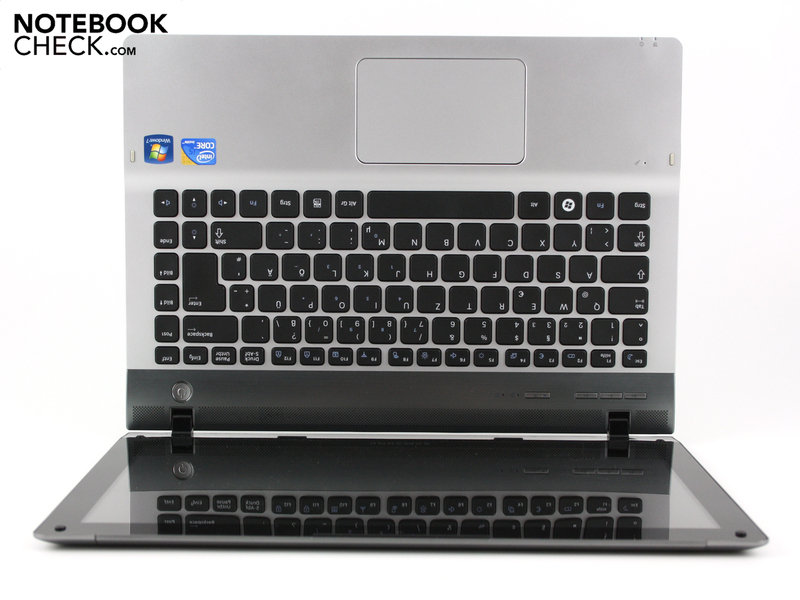 The aluminum cover and compact case lend the 13" netbook a touch of class. 2.1 Kg is a bit heavy but the cover is astoundingly sturdy for it. The base unit is warp-resistant enough. 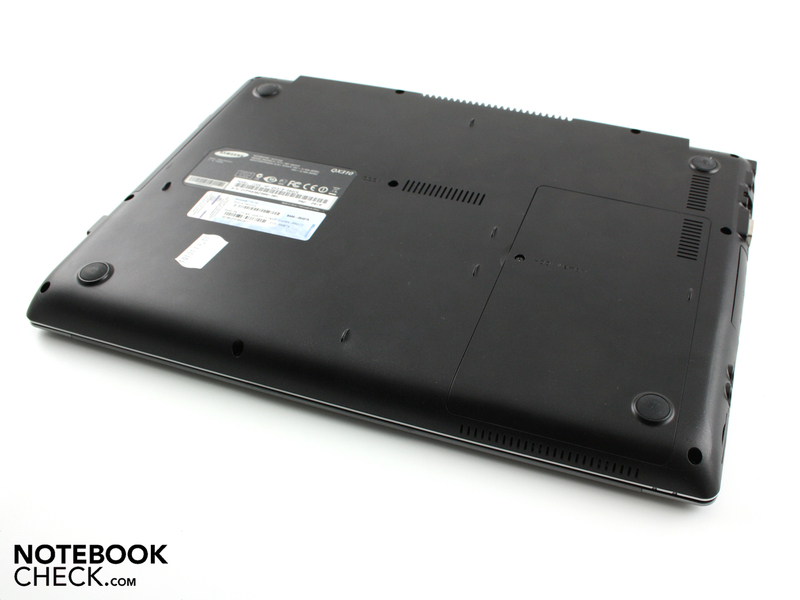 The complete package satisfies our standards for a 13" netbook costing 1,000 Euro. The battery is securely housed in the case and cannot be removed (5.900mAh). The variety of ports is quite modest: HDMI and 2 x USB are, however, covered. The keyboard is clearly labeled. But due to soft, uncertain key strokes, the keys don't always respond. Samsung QX310-S02DE: Chique Look and Feel. You can strut around care-free holding the flat case with a polished aluminum cover and look good doing it. You can avoid the death stare at the library with the oh-so-useful Silent Mode. 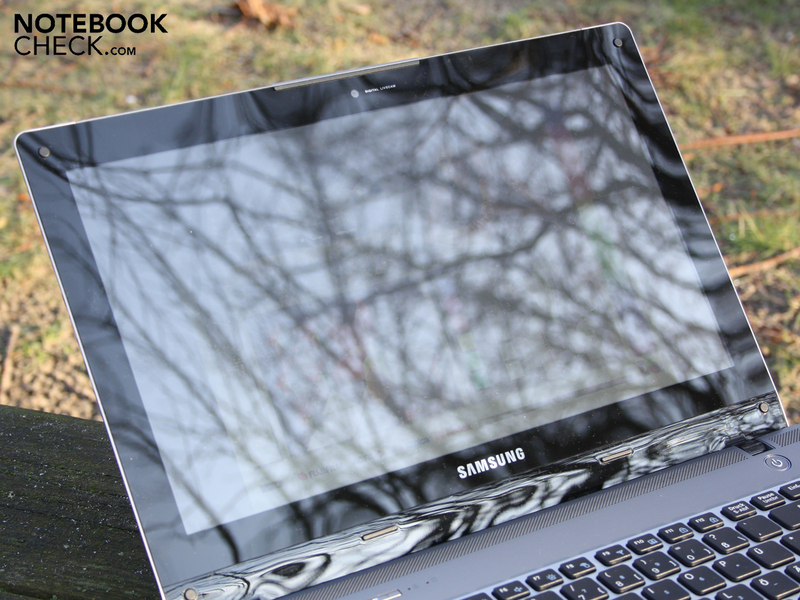 With a non-reflective screen it would be perfect for takin' care of business just about anywhere. The low power consumption puts money back in your pockets. The battery life is quite long considering the formidable processor. Asus PL30JT-RO030X: CPU-Turbo and very good battery life; Sony Vaio VPC-Y11S1ES: good for a whole day on the go; Asus U30JC: Core i5-450M power with a similarly long battery life; for gamers: Acer Aspire TimelineX 3820TG with HD 5650, Core i5 and sturdy build; expensive but perfect: Sony Vaio VPC-Z12 or Z13 with Core i5-520M and Nvidia GT 330M.